It is with deep regret to announce, that on 6 January 2016 r. He went on eternal guard our colleague president of the wheels No. 33 Krakow S. P. Col. st. buried. Edward Potocki. Lived 66 year. Most of the economic activity involved with military service roles within various units of the Polish Army in degree from serial to Colonel. Participant of the UN peacekeeping mission in the Middle East. He has been awarded numerous state awards and departmental including m.in. Gold Cross of Merit, Gold Medal of Merit for National Defence. Upon completion of professional military service was active in the organization whose members are reserve soldiers. 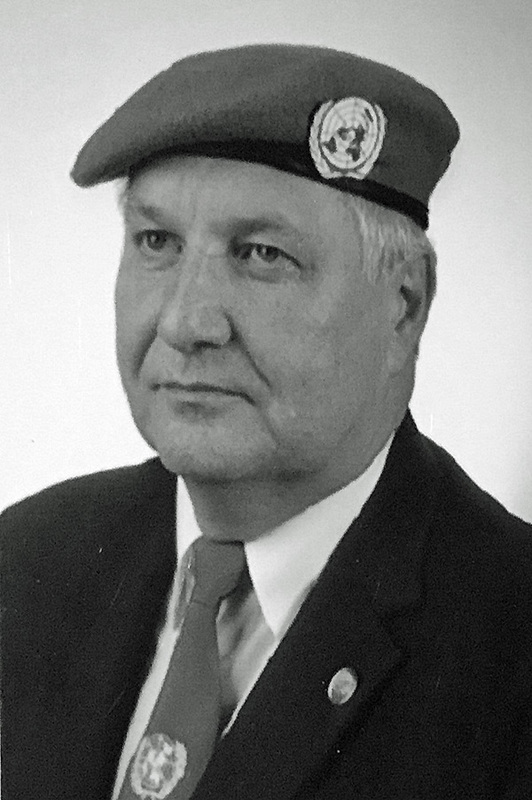 He served in their honor features including a member of the Board of the Association of Veterans of UN Peacekeeping Missions. For two terms he was president of the Circle No. 33 SKMP the UN in Krakow going at the same time, the Management Board of the Federation of Uniformed Services Malopolska. He also served as vice-president of the Malopolska Association of Polish Army Soldiers. Being in reserve actively worked to promote patriotic education and the history and traditions of the Polish Army among youth. Also active in organizations that support people in need of help, such as "Prometheus" and "Hot Heart". For selfless social work, he receives many distinguished and honorary medals organizational and local authorities in the medal Krakow "Honoris Gratia".